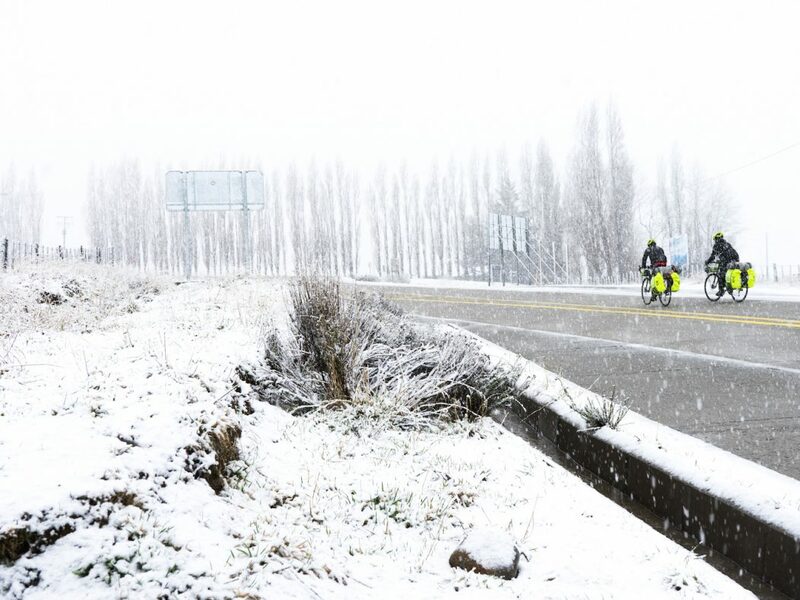 In October 2017, Tom Caulfield and James Whittle took on a world-first ultra-triathlon through Patagonia. 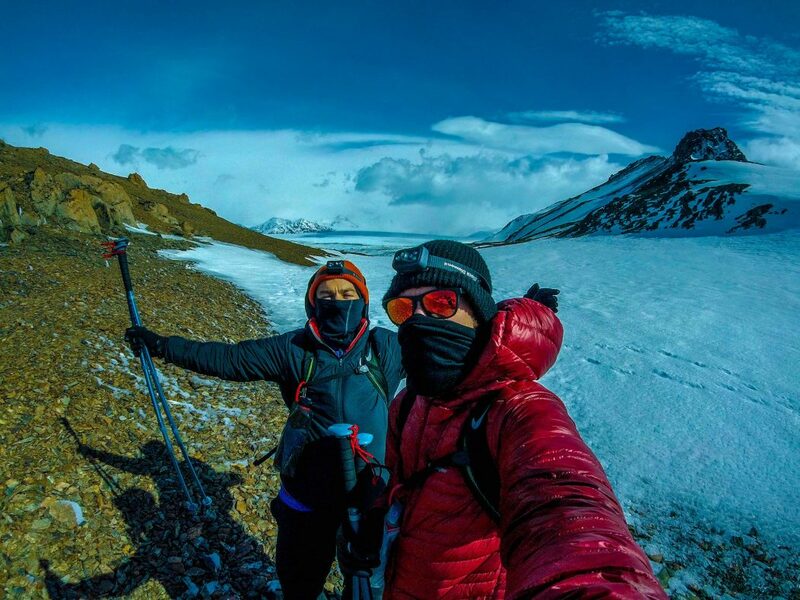 The challenge consisted of a 1,600 km cycle, a 65 km ultra-run, and a world-first stand up paddle board between two glacial lakes. The three weeks they spent there were, without doubt, the toughest of their lives. Patagonia seems to have a mystical aura surrounding it that attracts those wishing to push themselves that little bit further in life. It remains one of the last truly untouched landscapes on our planet, and a place of profound contrasts. The bone-dry desert of the legendary Route 40 borders the lush green hills and freezing peaks of the Carretera Austral. Patagonia is a land of extremes. With this in mind, it seemed the ideal location for our most ambitious adventure to date. 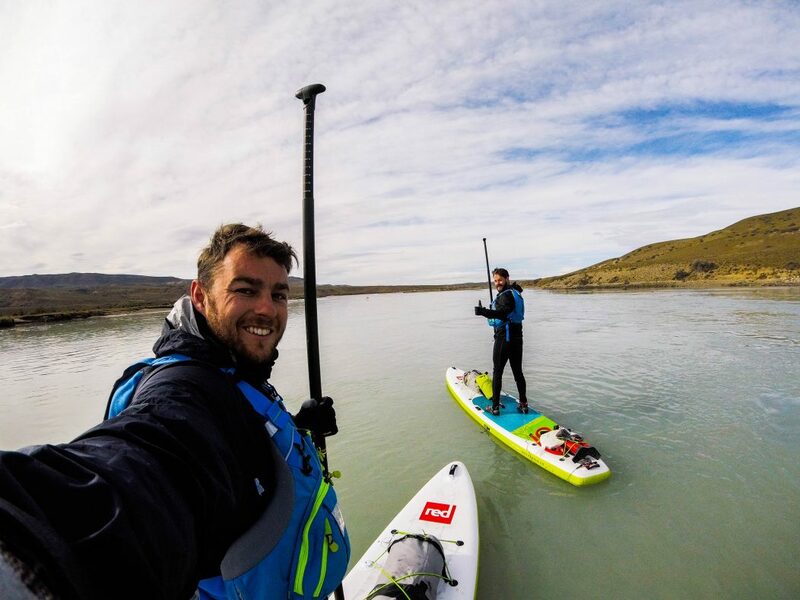 A world-first adventure triathlon consisting of a 1,600 km cycle from Esquel to El Chalten, a speed-record attempt of the Huemul Circuit (our goal was to become the first to complete it in under 24 hours), finishing off with a world-first 100 km stand up paddle board (SUP) along the La Leona river, from the shores of Lake Viedma to Lake Argentino. We had chosen to take on the challenge in October in the hope of avoiding high-winds, with chilly but relatively still conditions. This turned out to be false hope on our part. From day one on the bikes, we cycled through some of the worst rains the region has seen in years. The Carretera Austral was our route south and for the most part it was either sodden sand or loose gravel (due to it being out of season, huge portions of the road had been dug up for maintenance), which made riding a living nightmare. If it wasn’t the rain, it was the sideways blizzards that made progress painful and frustrating. 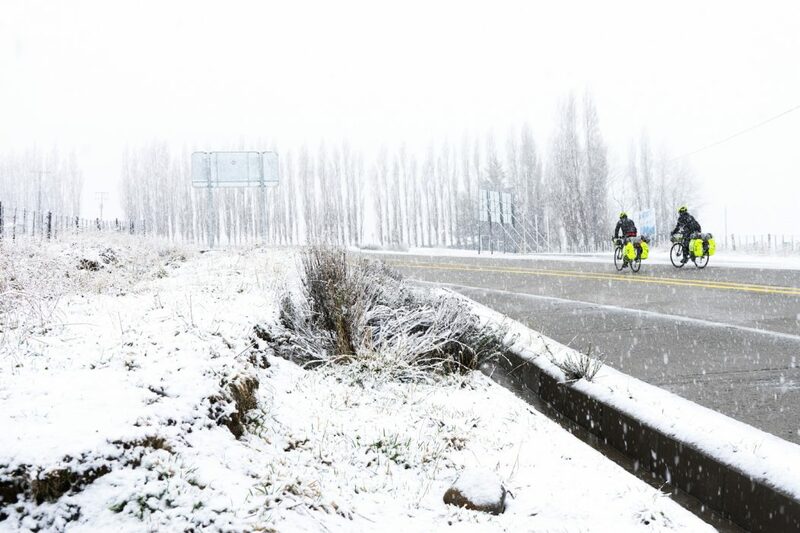 After nine days of slow, but ultimately rewarding miles we entered El Chaltén, relieved to be off the bikes. Our relief was short-lived, however, as we scrutinised the weather report for the coming week. Our aim had been to rest for 48 hours before starting the Huemul Circuit, but the weather dictated that the only real window would begin and end the following day. 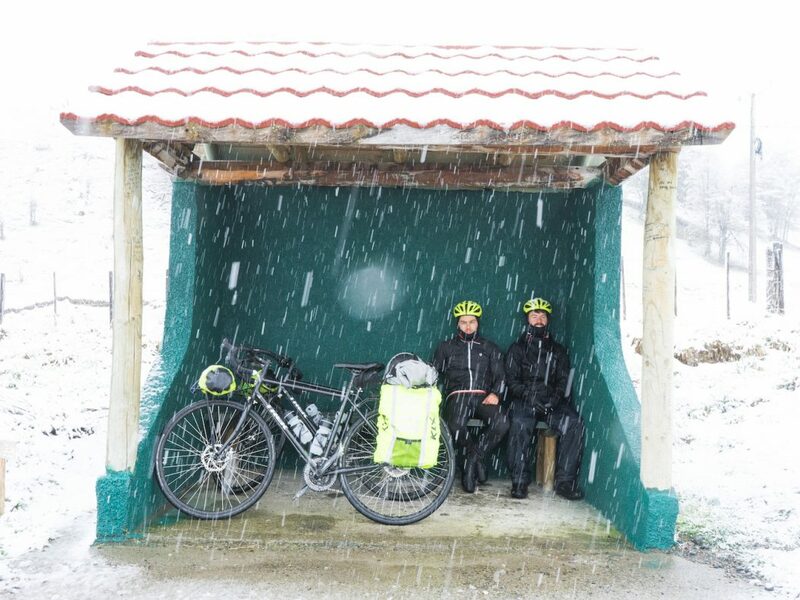 So, after a quick coffee, we swapped our cycling lycra for running gear, and eight hours after arriving into El Chaltén stood alone in the dark at 3 a.m., with a 65 km mountain run ahead of us. The next 17 hours were some of the toughest of our life. We ran up glaciers, traversed raging rivers and passed the infamous Paso Del Viento in knee high snow. The feeling of being alone on the mountain was empowering, and drove us through the agony and exhaustion. 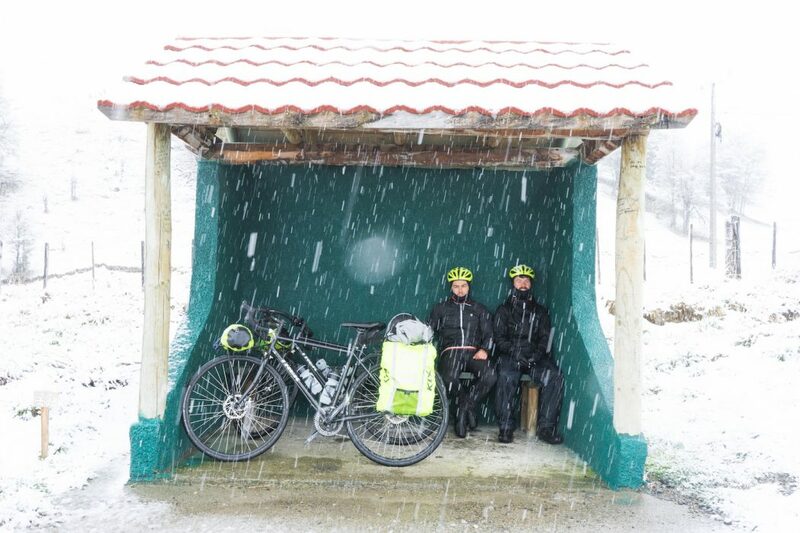 On arrival at the official finish line of the Huemul, the boat terminal on Lake Viedma, we collapsed into a heap. It had taken us 17 hours and 24 minutes – we (who had never run more than 20km before) were record holders! Our feeling of pride soon subsided, however, as we realised our naivety in hoping to hitchhike from the terminal to El Chaltén. By this point it was 11 p.m. and the area was completely deserted. Our phones were dead and we were alone. The next five hours were the darkest of our lives, as we trudged the additional 17 km back to our hostel in El Chaltén. Our bodies were shutting down, our shoes full of blood, and our minds flickered between doubt and hallucinations. It was without a doubt the most brutal test we have ever faced together, and we have been through a lot! To add insult to injury, on arriving back to our hostel, we realised we had left our key behind, so slept on the porch until sunrise, two broken men. The next five hours were the darkest of our lives, as we trudged the additional 17 km back to our hostel in El Chaltén. Two days later, with our legs still full of concrete and our feet covered in the worst blisters imaginable, we boarded two inflatable Red Paddle Co boards, and paddled our way down the La Leona river. This was only the second time we had ever been on paddleboards, and for 100 km we battled tirelessly against the brutal wind and rapids. Again and again we were spun around and dragged through white water backwards, screaming with frustration and anger. After two relentless days on the water, we pulled into the shore of Lake Argentino and embraced, exhausted but exhilarated. We had overcome everything that Patagonia had thrown at us, and had come out the other side victorious. This undertaking has been without doubt the toughest of our adventure careers – we hold Project Patagonia as our greatest achievement. Considering we have spent 54 days in a rowing boat crossing the Atlantic unsupported, and summited Mont Blanc in three days with no climbing experience, that’s no small claim. 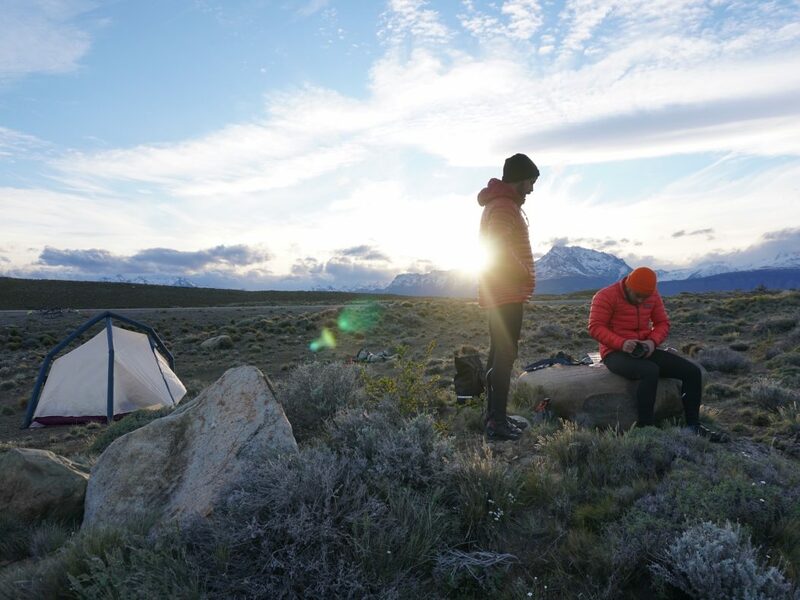 What Patagonia taught us, is that no matter how much you plan, prepare or research, the wildness of the region will throw something unexpected at you to stop you in your tracks. We can laugh about the times we were pushed to our limits now, but at the time, it’s the last place on Earth you want to be. Tom Caulfield and James Whittle together form The Tempest Two, two British adventurers showcasing that ordinary people can achieve extraordinary things. In December 2015, Tom and James left Puerto Morgan in the Canary Islands in a humble rowing boat with the simple goal of reaching the other side. Their voyage would take them 3,000 miles across the Atlantic Ocean, facing monstrous swells, marine wildlife and the first hurricane to form in the Atlantic for half a century, all with no previous rowing or sailing experience to call upon. 54 days later, the pair pulled into Port St Charles in Barbados, with a new thirst for adventure, and a different perspective on life. The Tempest Two was born. 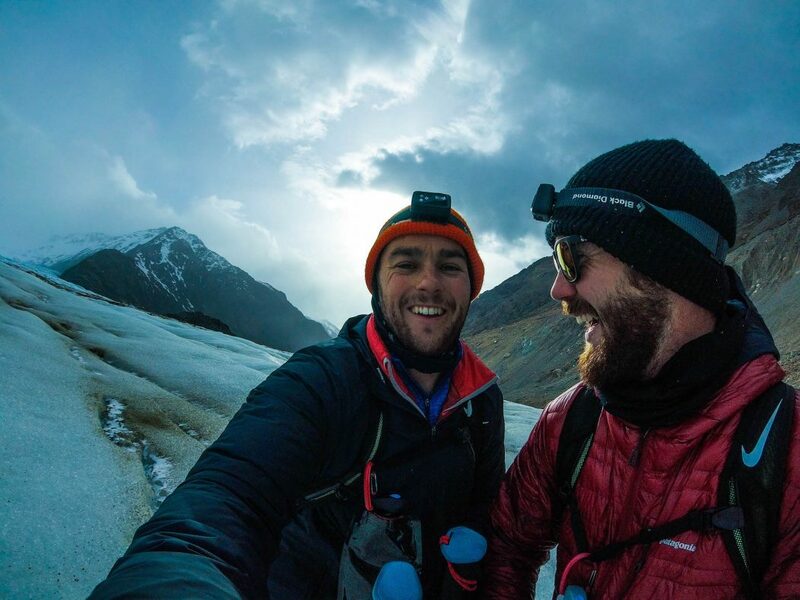 Since then they have kayaked around the Swedish archipelago, summited Mont Blanc, ridden motorbikes from London to the Sahara, and undertaken a monumental adventure triathlon in Patagonia. All with no prior experience at all!